Microsoft Windows 8, Another Success after 7? 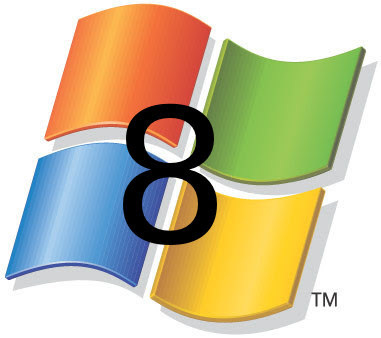 Everyone seems to waiting for Microsoft another OS Windows 8 after the success of Windows 7, which should arrive in early-2012, has yet to receive much media attention. That’s probably because the most exciting thing we’ve heard about it so far is that it ‘might’ have an ‘app store’, and other leaks have all been centered around performance improvements (which are a given). Microsoft has a lot riding on Windows 8. Windows Vista hurt Microsoft’s reputation (rightly or wrongly), and Windows 7 was its savior. Windows 8 needs to be better than Windows 7 in ways that consumers can see, understand, and experience, and it needs to give consumers a reason to upgrade (or cross-grade) for it to equal or surpass Windows 7. The software giant’s latest release of Windows has “skyrocketed” PC sales, and scores a rating of”94 percent customer satisfaction”, according to CEO Steve Ballmer. In the last few years, Microsoft has seen a lot of change – with the departure of Gates, and then Bach and Allard in recent months, and with constant management shuffling, it will be interesting to see how Microsoft pulls it’s resources together to make Windows 8 the success that many are expecting it to be.